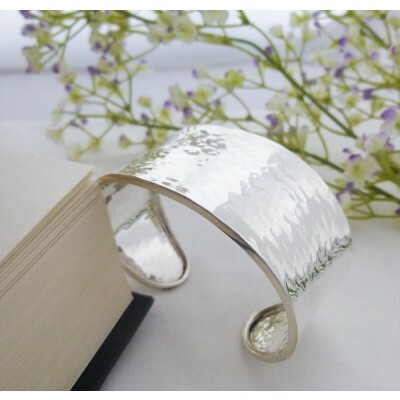 We adore this gorgeous wide hammered silver torque bangle that looks absolutely stunning on. The magnificent hammered effect on this chunky torq bangle is simply beautiful creating a light reflecting piece of jewellery. A stunning, stylish Wide Hammered Torq which will add a touch of glamour to your wrist. 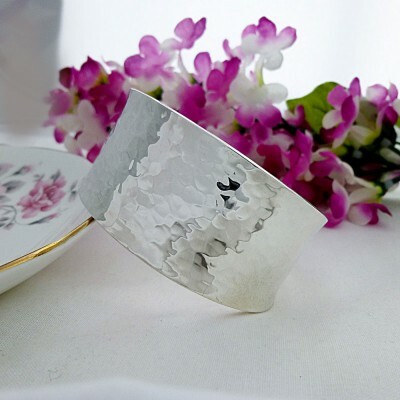 This lovely silver hammered cuff bangle is an open bangle so it will fit beautifully on and it really makes a fantastic fashion statement. 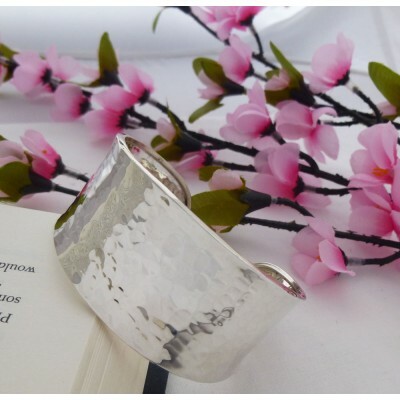 Designed in 925 sterling silver, this Wide Hammered Torq Bangle is elaborate, fun and will look great on. As this is an open style bangle it will fit most sized wrists making it a great choice for the perfect gift! It measures approximately 6cm in diameter and 3.5cm at its widest point. 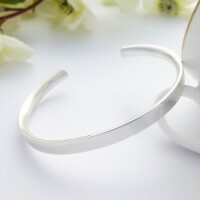 It is a wide silver open bangle with a hammered effect.